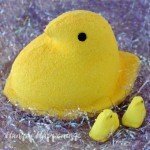 August 8, 2010 By This post may contain affiliate links. Where can you go wrong with a cheesecake! 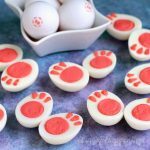 This Halloween Cheesecake is a simple no-bake dessert with an amazing design to get you howling for more! 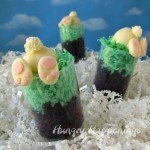 Although I am creating Halloween recipes, it is still summer and it has been wickedly hot here in Ohio. 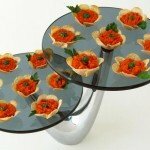 I thought I needed to create something that did not require the use of the oven or stove. In my last post I created “Longtail” by combining Oreo cookie crumbs and cream cheese and was curious to see if this combination would work as a no-bake cheesecake crust. Indeed it did, and it is really yummy. This crust tastes a bit like a brownie, but only requires two ingredients. The cheesecake isn’t much more complicated and you could simplify it even more if you chose to use the Philadelphia Cheesecake Filling. 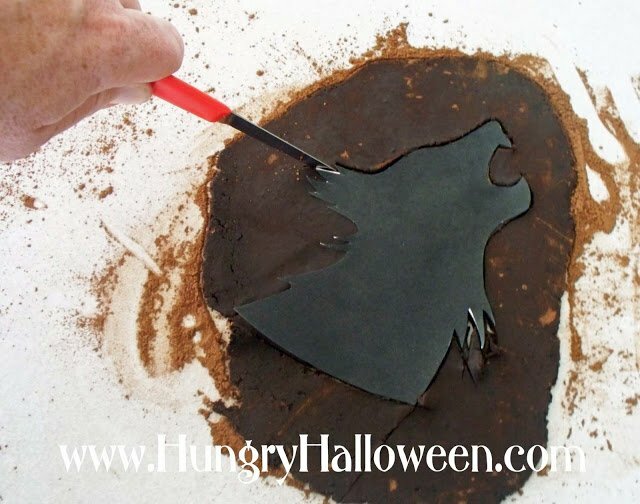 The most challenging part of this recipe is cutting out the werewolf image, and I’ve provided you with a template, so it’s super easy. 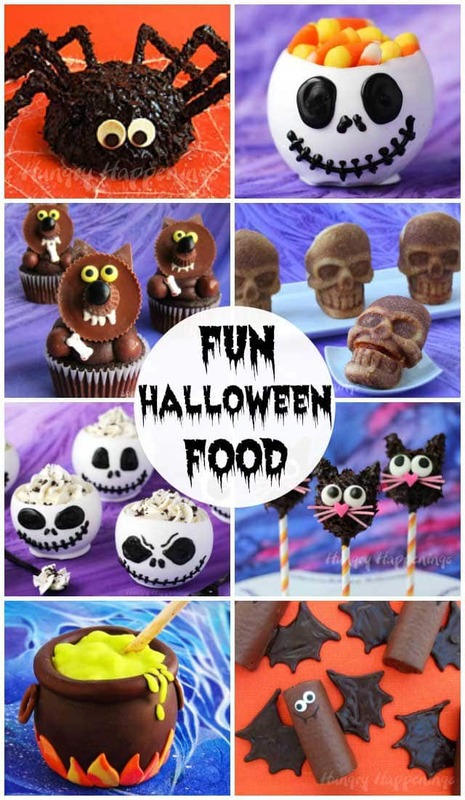 I chose to use the Werewolf image that I use for my Werewolf Won-ton recipe in my book, Hungry Halloween. You will need to increase the size of the image, as it is sized to fit the won tons. All of the templates used in my book and this blog are listed with links on the right hand column of this page. 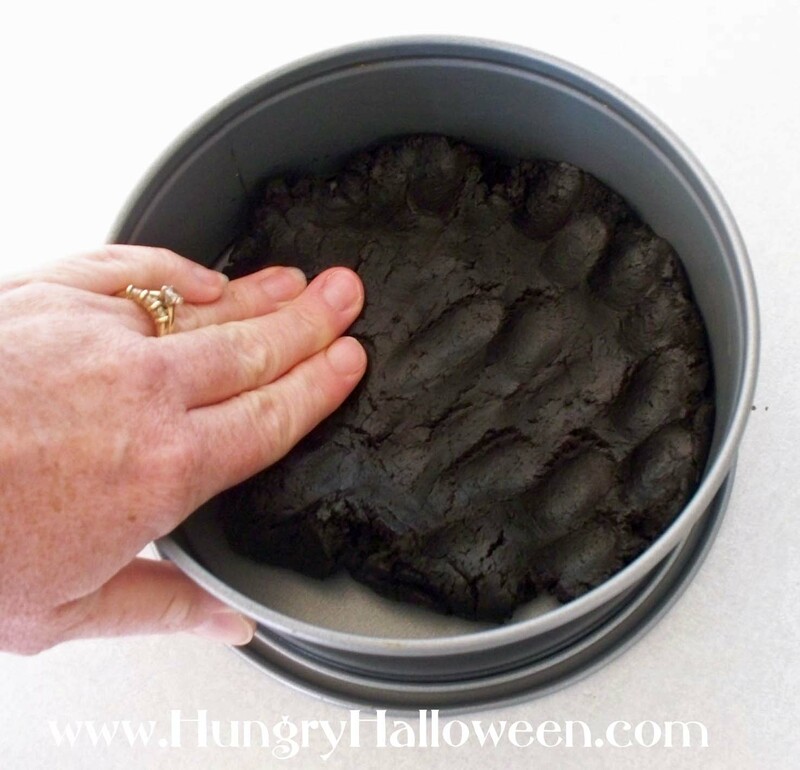 If you prefer, you could use the witch image from the Cackling Crackers and Full Moon Dip recipe. 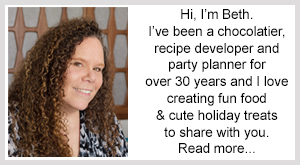 This idea can work for any holiday or function by changing out the image. Just search the Internet for images. 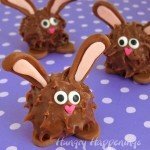 Have fun and if you make this recipe, I’d love to see your pictures. 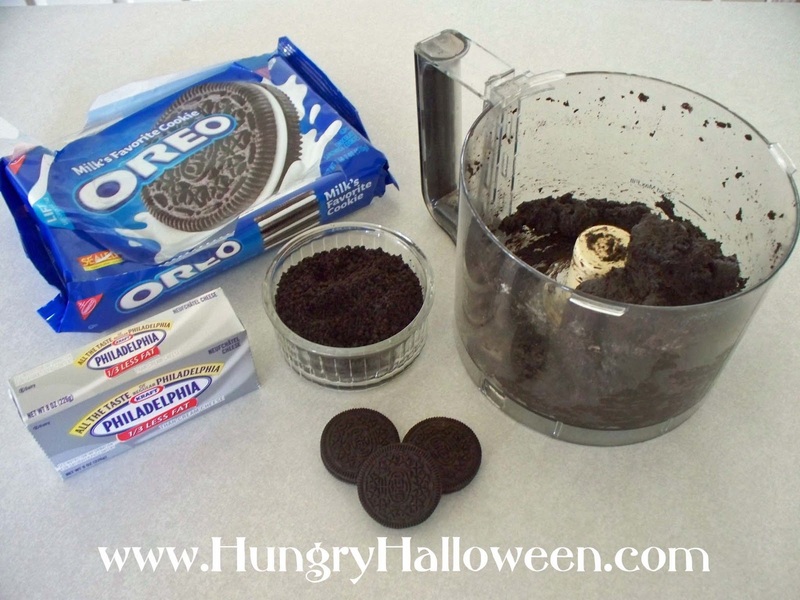 Pour the Oreo Cookies into the bowl of a food processor and pulse until you have fine crumbs. Add 8 ounces of Philadelphia Cream Cheese and pulse until mixture is fully combined, scraping down the bowl as needed. Sprinkle a small amount of cocoa powder on your work surface. Roll about 2/3 cup of this cookie/cream cheese mixture out to about 1/4″ thickness. 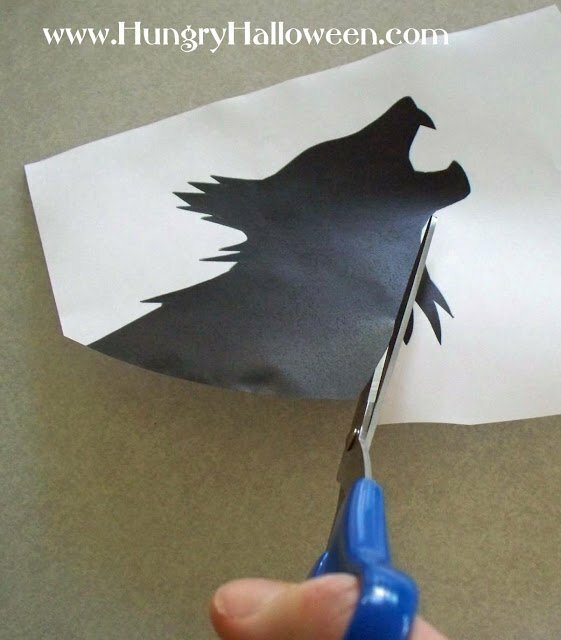 Copy the werewolf template, using the link above, and increase the size to 5″ tall. Print onto paper. Cut out your paper image. 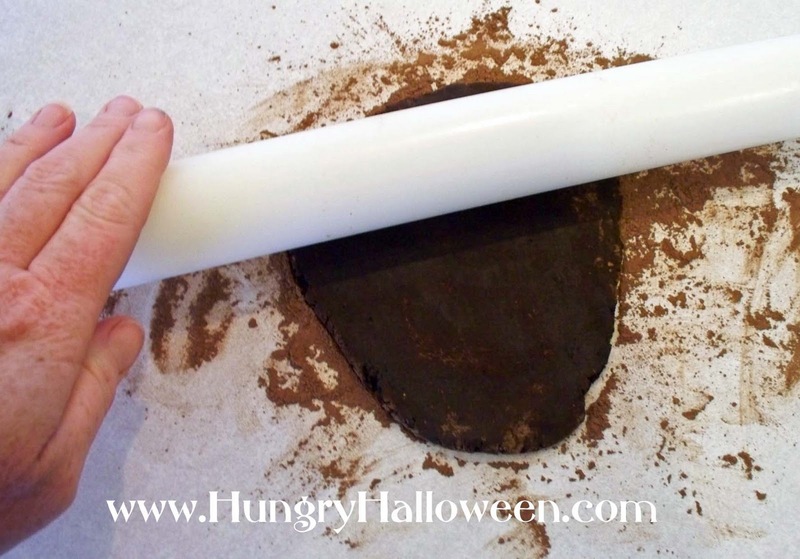 Lay your paper template over the rolled out dough. Use a small sharp knife to cut around the image. Remove excess dough. Press all of the remaining cookie/cream cheese mixture into the bottom of an 8″ spring form pan. 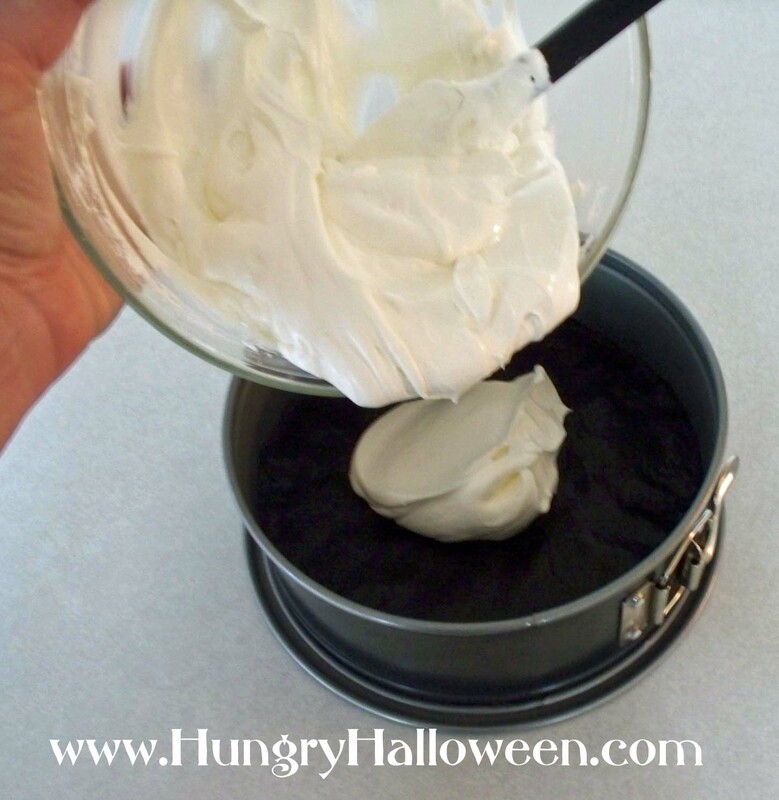 Beat together 8 ounces of Philadelphia Cream Cheese, marshmallow fluff and vanilla until light and fluffy. Add Cool Whip and beat until combined. Pour over crust. Smooth out surface using an offset spatula. 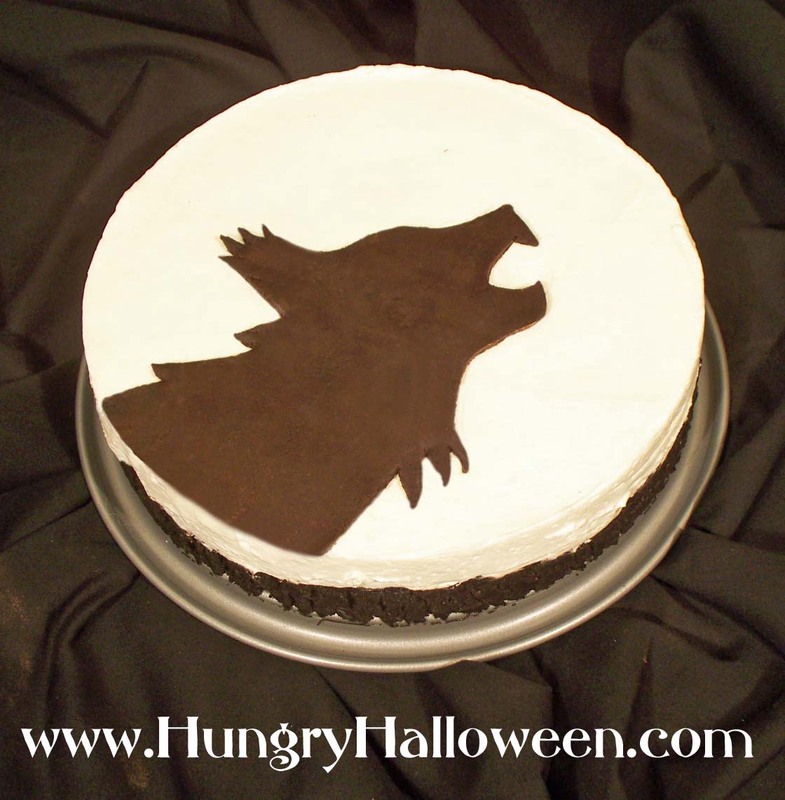 Carefully lay the cookie/cream cheese werewolf image over the cheesecake. 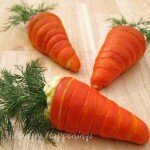 Refrigerate for at least 1 hour before serving. To cut neatly dip your knife in hot water, dry, then cut. Repeat for each slice. This sure sounds tasty, Beth! And I really like cheesecake. Is it as easy as it looks?